This Chapter aims to problematize both the strength of queer theory and its possible limits, formulating the following questions: Are we facing another center to periphery theory (that reinscribes the center-periphery division in other colors)? Does the very persistence of the term in English signal a geopolitics of knowledge in which some formulate and others apply theories? Is it possible that a queer political gesture is open to other knowledge or are we trapped inside with a line of thinking that nothing new can be proposed or envisioned? 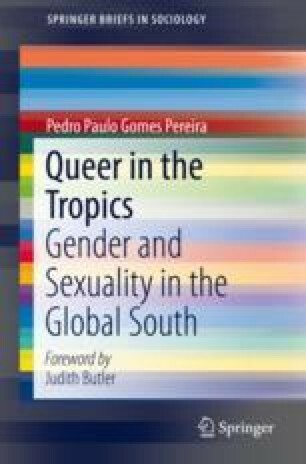 Finally, how do we think queer in the tropics?